Police have issued a timely reminder after fireworks were thrown at cars in Carrick on Friday. The incident occurred at Woodburn Road. 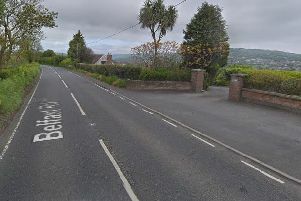 The PSNI stated: “Police received report of youths causing annoyance with fireworks in the Woodburn Road area of Carrickfergus on Friday, September 28. It was one of 30 complaints reported to the PSNI in the north region this weekend of fireworks being used in “totally unacceptable ways”. A PSNI spokesperson said: “The consequences of these actions are all too obvious. “I would appeal to everyone to play their part before it’s too late. “Help us to stop the fireworks getting onto the streets illegally in the first place. We are dedicated to preventing them getting to the streets but as always we need your help. “The law clearly states that fireworks must be bought from a licensed dealer who is required to keep sales records. Fireworks bought from other sources could be of a sub-standard quality, with the potential to cause serious injury. “Fireworks that do not have instructions printed in English are illegal. All bangers are illegal. The purchase, possession or use of fireworks without a licence is an offence.